READING. Just finished Ninth Ward by Jewel Parker Rhodes. Such a beautiful YA novel about a young girl in New Orleans during Hurricane Katrina. Just began The Summer Prince by Alaya Dawn Johnson. So far so good. WATCHING. Half the Sky, a mini documentary series that raises awareness of the atrocities happening to women and girls around the world, and celebrates some of the activists and groups making a difference to see an end to the suffering. It’s inspiring and heart-breaking and important and difficult to watch. 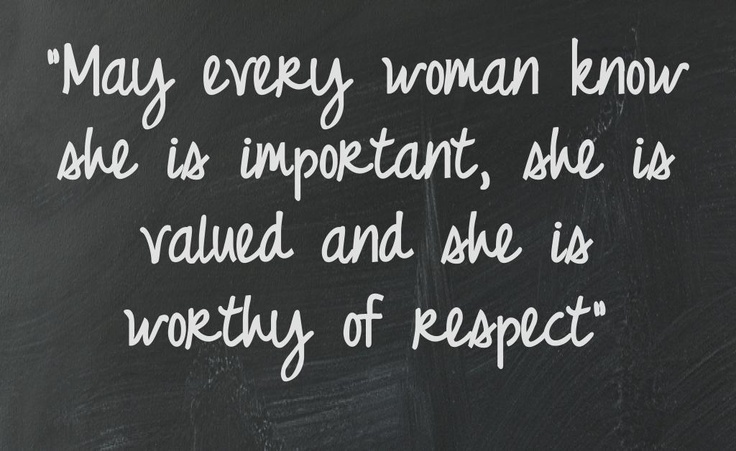 It’s reinforced my desire to raise a daughter who knows her worth and fights for others. (I do not have the source for this – the Pinterest link did not work when I tried to attribute this. But it is not mine; I just really love this. I will try to find the source). To the new Marilyn Manson album, The Pale Emperor. Maybe it surprises people to know I love Marilyn Manson, maybe it doesn’t. All I know is I’m a 30-something white suburban mom and this album has been the soundtrack to my random naptime painting and cleaning stints over this last week. And that’s probably weird. But I think he’s pretty genius and loud gothy industrial rock music makes me feel young. And because I believe in balance in all things, some Mark Ronson techno-pop or belly dancing playlists, both of which Hannah loves. Helping in little ways to get our basement done. Dejunking (always.. where does it all come from??). WEARING. 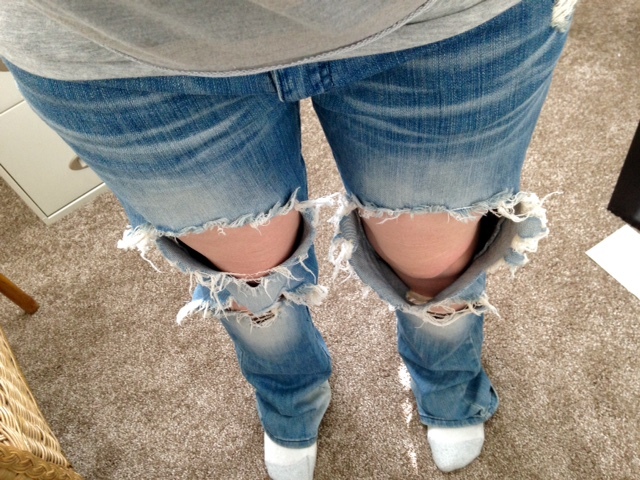 Jeans with so many holes in them, my dad said it looked like I was in an explosion. They are my project pants, okaaayyy? My spring garden; looking into a more space-saving way to start seeds that our giant grow light contraption. A trip to Yellowstone in the fall. I am so inspired by the Half the Sky project, I want to help with awareness and doing what I can to support women. It’s time I get involved with a cause. Does anyone have any suggestions for where to start? What is everyone else into these days? Previous Previous post: thrift shopping is my fave.